You might think that math is all about memorizing facts and learning skills. As an adult, you'll need to know math when it's time to buy a car, find auto insurance, or choose the best loan. While it is important to work hard to learn important math skills, this doesn't need to be dull and boring. You can learn math and practice your skills by using special calculators and playing math games, too. Calculators are useful tools for helping people find math answers quickly. Some calculators perform special functions such as finding the square root of a number or calculating a long-division problem. Some calculators will even talk to you as you press different numbers. You can use calculators for other tasks, such as converting numbers to Roman numerals and figuring out how many seconds old you are, too. Talking Calculator: This talking calculator will say the numbers aloud when you touch the different keys. Exactly How Old Are You? : If you've ever wondered how many days or minutes old you are, this calculator will tell you. Square Root Calculator: Enter a number into this square root calculator and press calculate to learn the square root. Kid's Calculator: This simple calculator will perform basic math operations for you. Long-Division Calculator with Remainders: Long-division problems are no problem for this special calculator, which will perform each step and explain the process. Scientific Calculator: This scientific calculator has all of the functions of a hand-held device. Binary/Decimal Converter Calculator: Use this calculator to convert either decimal or binary numbers. Decimals are the types of numbers we usually use, while binary is number system used by computers that only includes the numbers one and zero. Kids' Calculator: Figure out how much money you will save with this savings calculator. Investing Calculator: If you want to see how investments can make money for you, use this calculating tool. Kids' Calculating Tool: This calculating tool helps kids enter a specific amount of money to see how much they will have after saving for a specific period of time. When Will You Be a Millionaire? : Explore how much money a million dollars is with this handy tool. Number to Roman Numeral Converter: Use this tool to convert numbers to Roman numerals. A "Cat Years" Calculator: Cat years are different from human years. Use this tool to convert your cat's age to human years. Online Calculator: Tap the numbers on this online calculator to add, subtract, multiply, or divide. Place Value of a Number: If you're unsure about place value, this tool will tell you the place value of digits of a number. Practice math skills while playing games. Some games involve playing on the computer against yourself. You can set up other games for playing at home or outdoors. You could even learn amazing tricks to enable you to surprise your friends and family with numbers. Are You a Math Magician? Test your math skills with this fun game. Robot Calculator: Use a robot calculator to play addition, subtraction, multiplication, and division games. Percentage Calculator: This simple percentage calculator helps you figure out percentages of numbers. Quick Calculate: The Quick Calculate game helps you practice your math skills by entering answers as fast as you can. Do the Math: Calculator Hopscotch: Play Calculator Hopscotch by drawing a big calculator on the sidewalk with chalk. Is it Magic or is it Math? Check out these neat math tricks to impress your friends! My Magic Calculator: Print out this worksheet and show your friends an impressive math trick. Be a Math Wizard: This simple math trick will make your friends think you're a math wizard. Penguin Waiter Percent Game: Play Penguin Waiter to practice your percent skills. Kitten Match: Test your addition skills with this fun game. Math Search: Math Search involves calculating answers and then finding the right answers in the puzzle. Number Drop: With Number Drop, you need to solve the math problems quickly enough to prevent blocks from making it up to the top of the box. Penguin Party: Addition: Penguin Party helps you practice your addition facts. 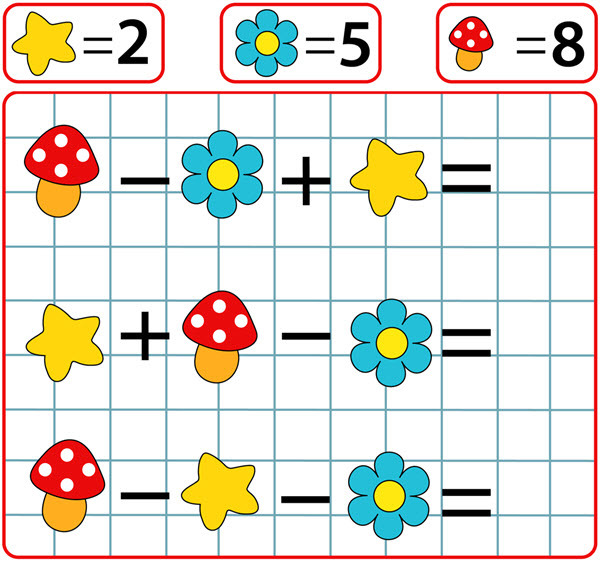 Mathemorphosis: Mathemorphosis is a fun way to practice addition and subtraction skills. Island Chase: With Island Chase, you can practice subtraction facts. Addition Games for Kids: Build a water slide while you practice addition facts. Wheely Math Game: The Wheely game helps you practice math skills while having fun with the red car. Number Trick With 1,089: Learn an amazing trick to play on your friends with the number 1,089. Multiplication Tricks: Grab a calculator and try some of these multiplication tricks. 10 Ways to Do Fast Math: Tricks and Tips for Doing Math in Your Head: You might be surprised how much math you can do in your head. As you're learning math at school and bringing homework home, you might need extra help. Homework helpers can help you learn special skills, such as calculating percentages. When you get older and need an auto loan to buy a car, you will then know how to calculate the compound interest charged to you for the loan. Some homework helpers help you in other ways, like by making flash cards or showing you how to convert measurements. Calculating Percentages: This website shows you how to figure percentages. Homework Center: Get help with homework such as fractions and formulas with information on this website. Find Percentage With Percent Increase Online Calculator: If you're not sure about a percentage increase or decrease, this tool can help you figure it out. Free Online Calculators: Explore this list of homework helpers that will help you figure out many different math processes. SuperKids Math Worksheet Creator: Practice math skills by creating worksheets and printing them. Circle Solver: If you're not sure how to calculate the area, circumference, or diameter of a circle, this tool can help you. Compound Interest Calculator: Figure out how much money your savings will earn using this compound interest calculator. Periodic Table of Elements: If you're learning about the periodic table of elements, this table gives you information about different substances. Flash Card Maker: Learn your math facts by making flash cards with this tool. Calculating Area in the Kitchen: Practice calculating the area of spaces by figuring out the area of your kitchen. Meters and Liters: Converting to the Metric System of Measurements: Learn about how to turn regular measurements into metric ones using this website.